If you are one of the 35 million Americans planning a move, you’ve likely come across some of the stresses involved with a move. Transferring utilities, getting the new house ready, figuring out logistics, these are all some common stressors people face. One area people often overlook is the packing and unpacking process. There are some steps you can take to make the process of moving boxes simpler though. Taking the time to properly label your boxes can save you time and headache as you relocate your items. Labeling your boxes will help the movers properly place boxes. This will also help you as you unpack in your new home. There are some simple steps you can take to properly label boxes for moving day. It’s tempting to just get everything packed up and deal with locating items later. This can cause a lot of stress as you try to locate the items you need immediately though. If you take the time to label your boxes, this will help movers and other family members know where to put boxes as you move things into your new home. This makes it easier to unpack items where they need to go. Labeling boxes also helps you locate the items you need immediately without unpacking every box immediately. This will make the transition to a new home easier. Proper labeling also helps you in case something comes up missing. Things can get missed in a move, and having a good labeling and inventory system will help you file a claim if necessary. The best practice is to label boxes as you pack them. This will ensure that you keep a good organization system as you fill moving boxes. This will also help you remember what’s in each box so you label correctly. It’s also a good idea to check the boxes you’re using, especially if they’re pre-used boxes. Check for other labels that could cause confusion and make sure to cover these other labels up. You can find moving labels at a moving or office supply store. These usually already have the rooms printed on them which makes labeling easier. You can also make your own. The colored tape is useful if you use the color-coded system, but not necessary if you use the numbering system. The system you use will depend on what’s easiest for you. If you want to use the number system, it’s important to make a master inventory list to keep up with everything. You will use this list to keep up with the items associated with your numbering system. To use the number system, you will write the list of items in each box on your master list and write a number associated with those items. You then label the box with that number and the room associated with the box. If you’re packing kitchen items, you’ll write kitchen on the box. Then you’ll assign a number to the box. Write that number on your master sheet and list each item in the box. It’s important to make more than one copy of your master list if you use this system. Keep the lists in separate places in case one goes missing. You might also want to email a copy of the list to yourself or a friend. To use the color-coded system, you want to assign a color to each room in your house. Make sure you pick colors that will make sense to you. For instance, if your bedroom has a specific color scheme, pick that color to label the boxes. You might also want to use colored stickers in your new home to help movers figure out where each box goes. They can match the box with the color-coded room as they move each box in. You can create a master list for the colors, or you can just write the items directly on the box. If you have valuables you might not want to list those on the boxes. Write on the box with the marker color associated with the room. You can also use colored tape to mark the room. Make sure you pay attention to the room-color association so there’s no confusion during unpacking. As you label your boxes, you want to make sure the labels are easily found. This means you should mark the box on the top and at least one side. It’s best to label at least two sides though. Labeling in multiple places helps you keep up with the boxes even if they’re stacked or turned. 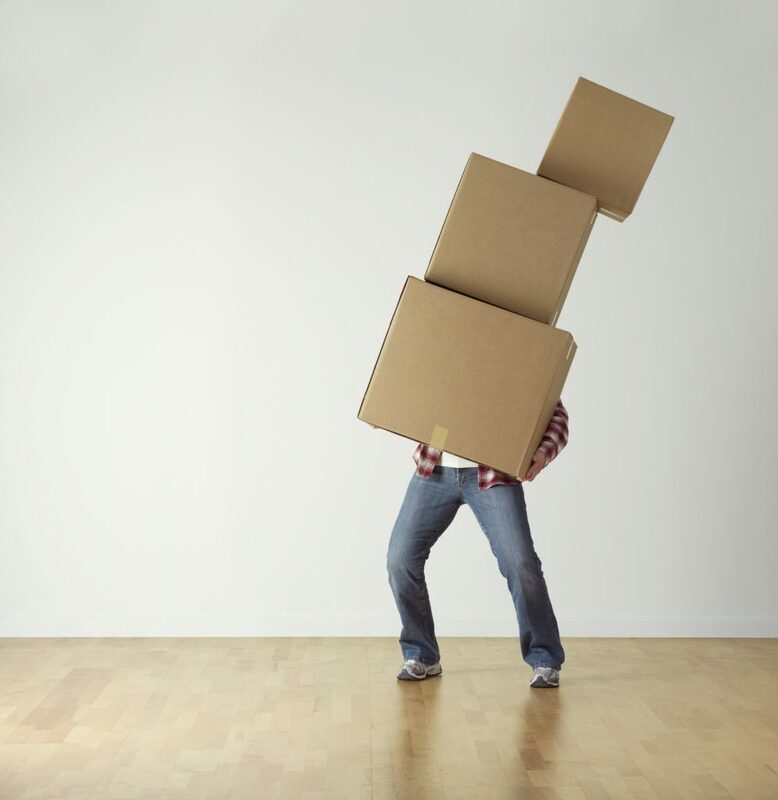 This way movers can easily place items and you can find boxes easily when it’s time to unpack. Make sure to label fragile boxes clearly as well. Label on the top and sides for fragile or boxes needing extra care. You might also want to mark the boxes as high, medium, and low priority so you know which boxes you need to unpack first. You want to make sure that all labels stay on the box and are protected so you have the information easy to find. The best way to do this is to cover the labels with a clear piece of tape. When it comes to moving boxes, you want to remove as much stress as possible. Creating a labeling system is one way to cut down on unnecessary complications. Getting help from movers is another way to cut out stress. Having help with the move will make the process simpler and faster. You don’t have to do the moving process alone. If you need help with a move, contact us for a moving quote.